Mine cut diamonds are typically found in antique jewelry – jewelry that was made before diamond cutting techniques were perfected. They date to before 1919 and are rather roughly cut but have an old world charm that new cut diamonds just don’t have. This type of cutting is just not done today as modern methods are superior for exposing the beauty of the stone. If you have antique jewelry with mine cut diamonds, you should be very careful with it since if you lose one of the stones, it is unlikely you would be able to get a matching replacement. Typically antique jewelry would use a modern brilliant cut diamond which may not look right if there are other diamonds with the older cut in the piece and you may find you have to replace all the stones! Of course, there are a few jewelers that may have the older cut stone but you will probably have to look pretty hard to find a matching one. Mine cut diamonds are crudely cut with a squarish pattern, often cut to simply go with the shape of the crystal, this method did not take into consideration how the stone reflects light, or how to best cut the stone for maximum reflection and beauty. It wasn’t until 1919 that a mathematical formula for cutting a diamond to take the most advantage of it’s reflective and refractive properties was invented. Most diamonds mined after 1919, therefore have a more brilliant cut than the old mine cut diamonds. This cut is often referred to as Old European Cut. However, the tools to cut diamonds still would not produce the perfect cut as perceived in 1919 until the 1950’s when technology finally improved enough to be able to perform the cuts that would bring out the most beauty of the diamond. This is known as Modern Brilliant Cut and is how most diamonds are cut today. Your engagement ring is one of the most important purchases you’ll make, so picking from diamond ring settings can be an overwhelming task. You can make it a bit easier if you narrow it down from the beginning by figuring out your budget, the shape of stone you want and the type of metal the ring should be. One of the many choices for a diamond ring is the type of metal. If she wears only gold jewelry, then it’s a sure bet that she’ll want a yellow gold ring. If she favors the cooler colors like silver and white gold, then a white gold ring might be the thing. However, if you really want to impress her and you have the dough, then platinum might be the way to go! Another key aspect of diamond ring settings is the style of the setting and the size of the center stone. Some women prefer a simple setting with 1 large stone, others like to have a bunch of diamonds. Some prefer to mix in colored stones along the sides. Also, keep in mind the general style – if your gal likes antique jewelry you can buy an antique setting (or a new one with an antique design) or if she prefers the sleek lines of the modern setting you can opt for that. When selecting the size of the stone, keep your budget in mind – of course a bigger stone = bigger bucks. Diamond ring settings can hold stones of many shapes – you have to decide which one you prefer! Diamonds come in round, pear, oval, princess, emerald and marquise. The round, pear and oval shapes are pretty self explanatory, but the princess shape is a square cut diamond, the emerald is a rectangular cut and the marquise is cut in a diamond shape. Round and princess are the most common. 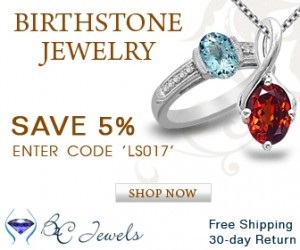 For more shapes and choices, you can actually check out online stores like Blue Nile and read up reviews of BlueNile.com to get a better idea of their business. Diamond ring setting also have different methods of holding the diamond in the ring – yet another decision you need to make! Prong set is the most common, where the stone is held in by large prongs. Bezel set is used in antique jewelry a lot and it involves the stone being set into a “well” and is held in by metal all around the stone, almost like a frame. An invisible setting is, well, invisible and a tension setting is rather contemporary and makes the diamond appear to be held into the ring by the tension of the metal band. The add a diamond bracelet is a great gift for the woman that has everything and the best part is that it gives you a platform for future gifts! And who doesn’t love diamonds? Forget about the intrinsic value of them, what mother, wife, girlfriend or daughter wouldn’t love to show off her new diamond bracelet to all her friends? The add a diamond bracelet concept is pretty simple, yet ingenious. 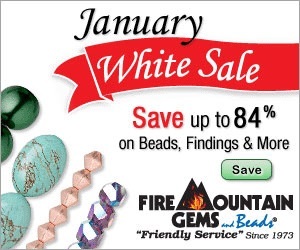 You purchase a bracelet with links that can be removed and replaced with a link containing a diamond. The bracelets are usually precious metal – 14K or better if you’d like and the starter bracelet contains 1 diamond link. You can usually get the diamond links for around $100 but, of course you can purchase better quality, larger and more expensive if you want! This great gift lasts a lifetime and the add a diamond bracelet grows with you as you grow and your life unfolds. New links can be added for special occasions, holidays or to mark memorative times in ones life. You can buy links with different sized diamonds so if there is a really special time in her life, you can buy a really big stone to commemorate it. Diamond wedding sets are the traditional symbol of the union of man and woman. Rings have been used for centuries to show your intentions and, of course, we all know the never ending round shape of the ring symbolizes the never ending love of the married couple. Diamonds have long represented commitment and long lasting love. Among their magical properties is the ability to enhance the wearers natural charm and beauty. It is also believed that wearing diamonds can protect against illness, and strengthened the kidneys as well as the reproductive organs. In early times only 1 ring was worn to symbolize marriage but in the 13th century, the Pope declared there would be a waiting period between engagement and marriage and thus, the engagement ring was born! From those early times we still use rings as the symbol of marriage and diamond wedding sets are a common way to pair rings for everlasting beauty and love. 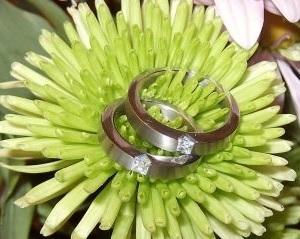 Modern diamond wedding sets come in matching pairs of rings that have the same style and are made to go together. They can be simple or very ornate. Some have a band with an opening in the middle that accepts the solitaire engagement ring and looks like 1 big ring when worn together, others simply sit next to each other and complement each others design. It takes millions of years to make a diamond – pure carbon under intense heat and pressure is what made diamonds in the earth billions of years ago. But now, thanks to modern technology, these conditions can be recreated in the lab and the result is a stone identical to natural diamonds but at a fraction of the cost. These manufactured diamonds are so close to the real thing, that most jewelers would not be able to tell the difference. To combat that, DeBeers, who has held a monopoly on the diamond industry by controlling most of the diamond mining has been doling out sohisticated equipment that is sensitive enough to tell the man made from the real thing. The colored diamonds, which are rare to find naturally can be made as manufactured diamonds quicker than the colorless diamonds. Since colored diamonds such as the pink and yellow have become so popular, buying manufactured ones would allow people who normally can’t afford them to buy jewelry made with these stones. The cost can be 50% less than natural diamonds. For some this is a great thing – many people who couldn’t even think about a piece of jewelry with diamonds can now afford it and others can afford to buy more if they go with manufactured diamonds. Others just see these as fakes and still only want the real thing. Since this industry is rather new it remains to be seen if they will hold their value like the real thing. But if you are just buying a piece of jewelry for fun, maybe you don’t care. In the end, you’ll have to decide what’s right for you based on cost and value. Platinum diamond rings have long been the metal of choice for the rich and famous. This ancient metal is rare – more rare than gold and coveted for it’s pureness and beauty. Used by the ancient Egyptians, and Inca’s, it has appeared sporadically throughout history. Always very precious it is used to adorn Kings and even included in the famous Faberge eggs of the early 1900’s. First used in jewelry by Cartier in the early 1900’s, Platinum is the choice in jewelry and platinum diamond rings are a favorite of the rich and famous to this day. 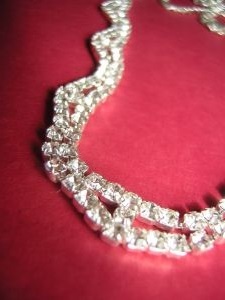 It has a brilliant white glow and being 95 percent pure it is the perfect metal to show off the white ice of diamonds. This wonderful and versatile metal has many uses – not just platinum diamond rings! It became so coveted in the late 1800’s that it was used by many royals and as a thread in their gowns, it was even used as the main adornment in a room at the Royal Palace in Spain. Feberge used them in their famous eggs and once Cartier perfected making jewelry with it, he was commissioned by many a royal to make intricate pieces and crowns combining platinum and gems. During World War II, it was even used to make weaponry. In fact, this metal is so versatile and can be molded in so many ways, that it is used to make pacemakers. 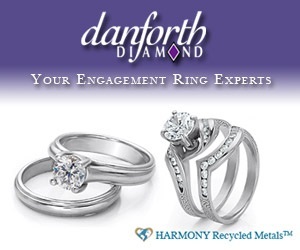 Platinum diamond rings are a great choice for anyone – whether you be rich and famous or not! Platinum is hypo allergenic so even those with the most sensitive skin can wear it. It will not fade or tarnish so it is easy to care for and always looks beautiful. It is extremely durable and even every day wear and tear will not fade it’s beauty and preserving it’s radiance for generations to come. The champagne diamond is a diamond that is naturally the color of champagne. It can range from a light yellow to a deep cognac color. There’s even a pink champagne variation that is quite desirable. These diamonds are a wonderful variation on the clear or white color that we think of today. Although a color variation, the champagne diamond is still subject to the 4 C’s that rate all diamonds – cut, color, clarity and carat. The exception is that a colored diamond is rated by the intensity of the color where as a white diamond is most desirable when there is lack of color. The champagne color that is the deepest is thought to be most desirable. Pink champagne is a secondary color within the champagne diamond itself and comes in a light, medium or dark range. A naturally colored champagne diamond is very rare and expensive. You can buy diamonds that are treated to change the color and this will be a little less expensive if you have the desire but not the money. When buying colored diamonds, you’ll want to be careful to insure you are getting what you expect. The champagne diamond is basically a brown color. It sounds icky, but most people that own jewelry made with one, fall in love with it for it’s beautiful brilliance. There are 7 degrees of color intensity in the champagne C-1 through C-7. C-1 is a very, very light color (the color of actual champagne) it is beautiful but the least desirable of the color ranges (of course beauty is in the eye of the beholder and I find this color to be the most desirable!). The colors gradually get deeper until the C-7 color which is the deep brown of a fine glass of cognac. As with any expensive item, it helps to educate yourself before buying diamonds. Of course you’ll want to buy from a reputable merchant – whether it be online or in a local store. Make sure the jeweler offers a money back guarantee, that way you know he will stand behind his work. When buying diamonds, you’ll need to learn a bit about the 4 c’s – color, cut, clarity and carat. These are the 4 elements that you will be comparing in diamonds. There’s a 5th element that you may need to consider as well and this is cost. Cut is probably the most important of the 4C’s. This does not refer to the shape of the stone, but the facets that are cut into the stone from which light is reflected. There is actually a mathematical formula that jewelers can follow to insure the diamond is cut to show the maximum brilliance of the stone. There are several grades of cut which affect the price. The most perfect cut is Ideal Cut this is perfectly per portioned to maximize brilliance. Next down the line is Premium which is also a very good cut but a bit less expensivethan the ideal cut. A Very Good cut is a bit less expensive than premium but still reflects most of the light from the stone. In many cases, the cutters have varied the proportions of the cut in order to make a larger diamond. The Good cut is a nice economical grade that is popular with most people who are buying diamonds as it still shows most of the brilliance of the stone. Fair and Poor are diamonds that reflect very little of the light – they are cut poorly. These diamonds are cut to maximize size but sacrifice brilliance in the process. Should you buy real or simulated diamonds? When shopping for diamond jewelry, the question is bound to arise. Of course, the intrinsic value of a real diamond can not be compared but the cost is high. A simulated diamond can be much cheaper but the value is not there. Since you can get more for your money with a simulated diamond, it’s a matter of quality over quantity. Can You Tell The Difference Between Real or Simulated Diamonds? Just like anything else, there are different qualities of simulated diamonds. You can get some cubic zirconia dirt cheap and have a beautiful ring in plated metal for under $20.00. Other faux diamonds are higher quality and set in precious metal which may run in the low hundreds for a dazzling piece of jewelry. A new method has been developed that creates a diamond in the lab which is of such high quality that most jewelers will not be able to distinguish it from a natural diamond. These diamonds that will soon hit the market place will set you back about half the cost of the same size of a natural diamond. The decision to buy real or simulated diamonds is really a matter of personal choice. Then again, in most cases, you get what you pay for. 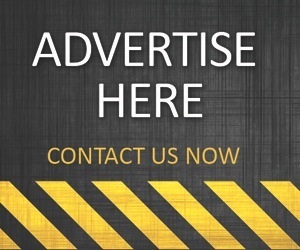 The cheapest ones will not last very long – after a few years they are known to become cloudy and scratched. Then again if you only paid $20.00 for it and got 2 years worth of use out of it, maybe that’s not so bad! In some cases you may prefer simulated diamonds as it relieves you of the worry of losing an expensive piece or having it stolen. If you are looking for an extravagant jewelry set – you can find them in both real or simulated diamonds. The simulated are just as beautiful and will last quite some time with occasional wear and you pocket book may thank you for it. Some folks buy several simulated wedding rings and change them out when they feel like it – they prefer this to having only 1 real diamond. Yellow diamonds are a natural color variant of the white or colorless diamond. They come in a wide range of shades from a pale, light yellow to a rich canary color. Natural colored diamonds are mined out of the earth with these color variations, but diamonds can also be treated to change the color. Be aware, when buying diamonds, that the naturally colored ones are more valuable than the treated. Unlike white diamonds which become more valuable with the less color they have, yellow diamonds become more valuable with the more color they have. The lighter shades are worth less than the darker shades. Other than that, colored diamonds are graded by the same methods used to grade colorless diamonds. Cut refers to the facets that are cut into the stone from which light is reflected (not the shape of the stone). There is actually a mathematical formula that jewelers can follow to insure the diamond is cut to show the maximum brilliance of the stone. Several grades of cut affect the value for yellow diamonds, although all but the very worst cut appear the same to the naked eye. The cuts, in order of value are: Ideal, Premium, Very Good, Good, Fair and Poor. Clarity. This refers to the blemishes or imperfections in the stone. These can be cracks, bubbles, non diamond minerals in the stone, chips, scratches and pits. A flawless diamond has none but most diamonds have some flaws. As with everything, there is a grading system for clarity to be considered with buying yellow diamonds. IF – Internally Flawless – no cracks, bubbles or non diamond minerals but there may be some scratches or chips – also very rare and expensive! I1-I2-I3 – Included – a very poor quality diamond. Color is an important aspect to consider when buying yellow diamonds. In a colored diamond, the more color, the higher the value. Carat weight or size is the final criteria for value. Typically, the bigger the diamond the more it costs, however a large stone that has a poor cut and clarity can be less expensive that a small stone that rates excellent in the other areas.